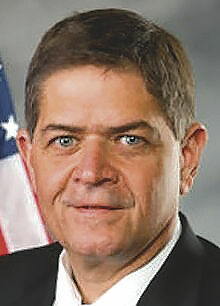 DONNA — The Pledge of Allegiance was the first order of business at U.S. Rep. Filemon Vela’s news conference about deported veterans. Despite the hardships those in attendance have faced with the justice system, they still held their hands over their hearts in a display of loyalty to their country. Vela, D-Brownsville, held the event Thursday morning at the American Legion Post 107 in Donna. The topics discussed included why veterans are deported, how to prevent deportation and finding access to services such as health care. Service members who are not citizens of the United States are often deported due to crimes they commit after returning home, but those infractions can be handled without forceful removal from the country, Vela said. 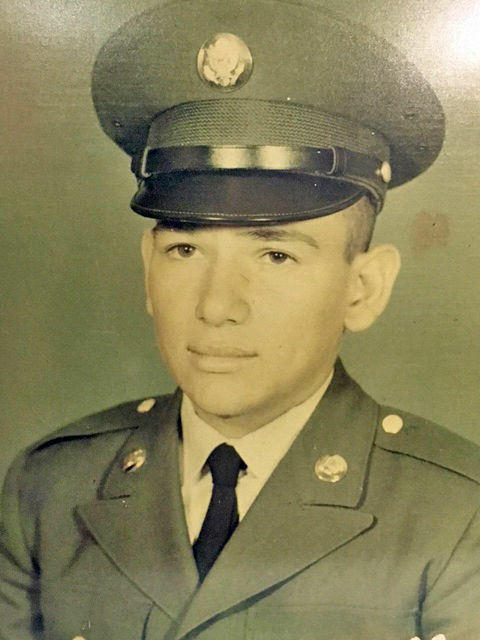 An undated photo of U.S. veteran Alfredo Garcia, 64, formerly of Brownsville. The story of Alen Blackwelder’s family is a real-life example of Vela’s statements. After voluntarily serving in Vietnam and North Korea, Blackwelder’s brother Alfredo Garcia came back with serious Post-Traumatic Stress Disorder (PTSD) issues and is still experiencing the effects of exposure to Agent Orange. His untreated mental health issues resulted in years of criminal activity and spending six years in the Port Isabel Detention Center. He was deported 10 years ago. “It’s unimaginable that Alfredo Garcia went to North Korea on his own because he felt he could do a lot for his country, and then the country turned its back on him,” said Blackwelder, 44, of his brother. His hands were trembling as he spoke. Vela promised to do everything possible to help their family. He had never heard their story before, but he said it is exactly what makes his efforts worthwhile. Joe Segura, commander of the American Legion Post 107, regularly meets with families desperate for a solution to a relative’s impending deportation. Part of Segura’s job is finding and reaching out to the veterans that do not utilize available resources, especially those who are not citizens. He has spent months at a time meeting with individuals and building a relationship so they feel comfortable with getting help.